The Schrupp water hydraulic control valve program is today one of the leading specialists in water hydraulics, due to its extensive research and development activity. 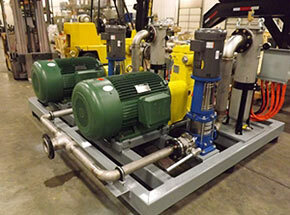 At HL Hydraulic, Inc., Schrupp water hydraulics = environmental hydraulics. HL Hydraulic, Inc provides system solutions up to 350 bar and nominal diameters up to DN 250, from individual valves to complete systems. 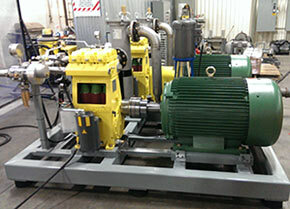 Innovations are developed for descaling systems, roll contour spray systems, etc. Since 1934 descaling valves and components for fluids and gases have been manufactured under the trade name SCHRUPP for the international market. HL Hydraulik GmbH now owns all rights to the Schrupp program. Continuous development allows improvements to this program to follow the requirements of the market. 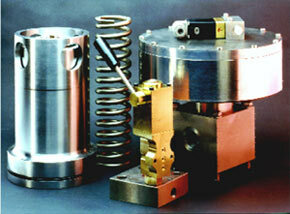 The valves are designed for use with water, water and oil emulsions, oil and gases. Their robust construction and compact design provide long life, ease of maintenance, and high performance. The sealed poppet design provides drop tight, leak free shut off.